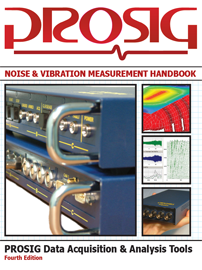 When using vibration data, especially in conjunction with modelling systems, the measured data is often needed as an acceleration, as a velocity and as a displacement. Sometimes different analysis groups require the measured signals in a different form. Clearly, it is impractical to measure all three at once even if we could. Physically it is nigh on impossible to put three different types of transducer in the same place. Do You Need To Measure Brake Noise? Accelerometers are robust, simple to use and readily available transducers. Measuring velocity and displacement directly is not simple. In a laboratory test rig we could use one of the modern potentiometer or LVDT transducers to measure absolute displacement directly as static reference points are available. But on a moving vehicle this is not possible.